This one or two-day class will include instructions on dyeing with this beautiful earth pigment and manipulating fabric into beautiful patterns by folding, clamping, and tying. 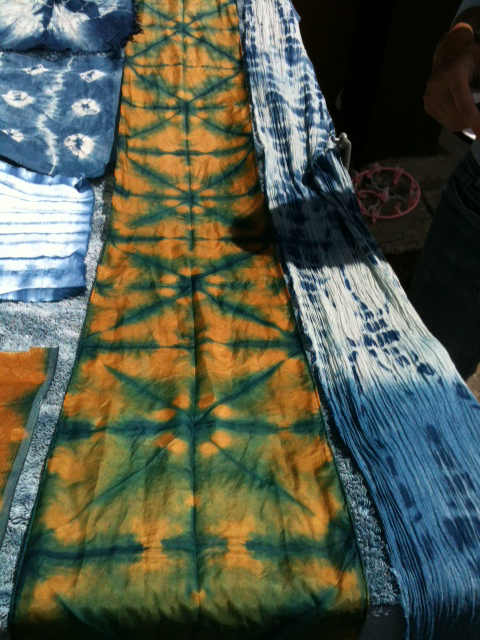 Blank, white scarves will be available for purchase, and you bring fun items you’d like to dye–cotton, wool, silk. rayon, linen—like cotton market bags, T-shirts, blouses, white pants, cotton leggings, socks, linens, scarves that have a color already for over dyeing, yarn, hats, small tablecloths and more!